Do you want a great Crock Pot Lasagna that doesn’t require you to boil the noodles ahead of time and lets you use regular (not no-boil) noodles? 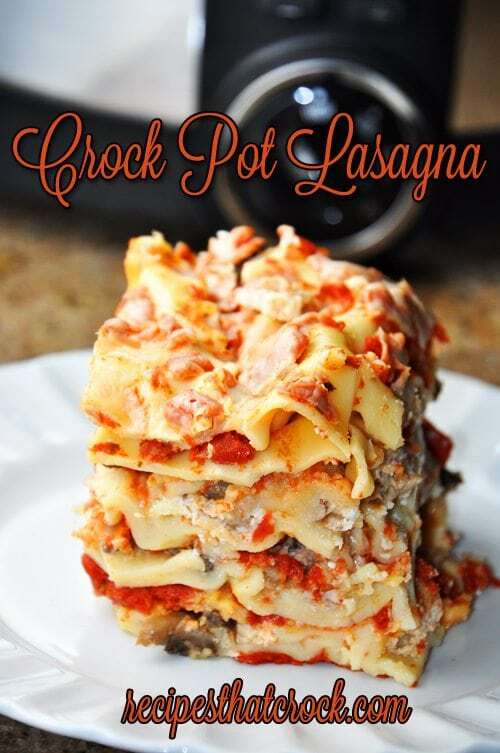 This Easy Crock Pot Lasagna Recipe is the perfect recipe for you. It is full of flavorful layers that crock up beautifully. 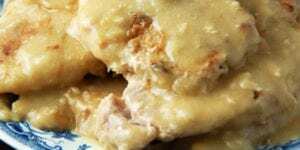 I got the base recipe for this delicious dish from my friends over at Red Gold. 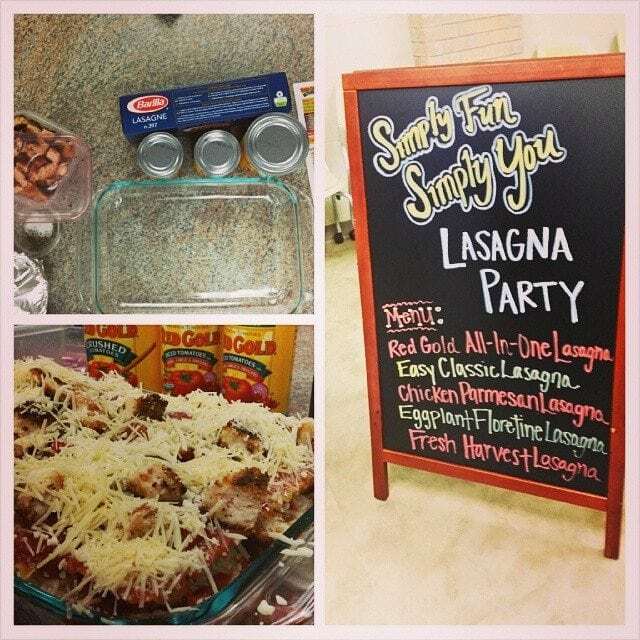 They had me over to their place a few days ago for a Lasagna Party and we had so much fun that I was inspired to whip up a couple different batches of their base recipe with my own special twist. Longtime readers of GOODEness Gracious know that I have mad love for my Indiana-based Red Gold Tomatoes. Been a fan since I was a little kid. 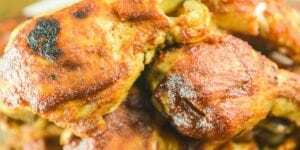 Truth be told, when I grew up and tried to make mom’s recipes and they didn’t quite taste right it was totally because I couldn’t buy Red Gold in my college town. So I would seriously stock up on cans of tomatoes when I would come home for a visit! I was just thrilled to go on another tour of their facility. Especially since this time I got to see ketchup and juice in the making vs. the fresh pack last time. 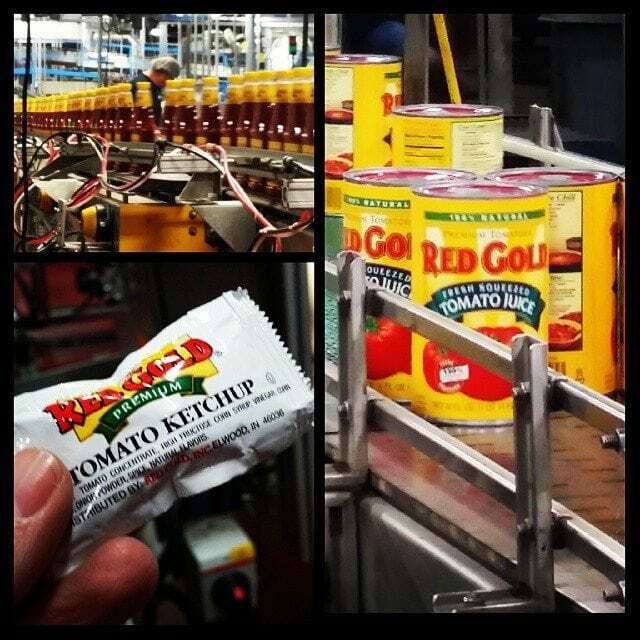 Psst… did you know that Red Gold is the only Made in the U.S.A. Tomato Juice that is NOT made from concentrate?! I told you they are totally my brand of choice. 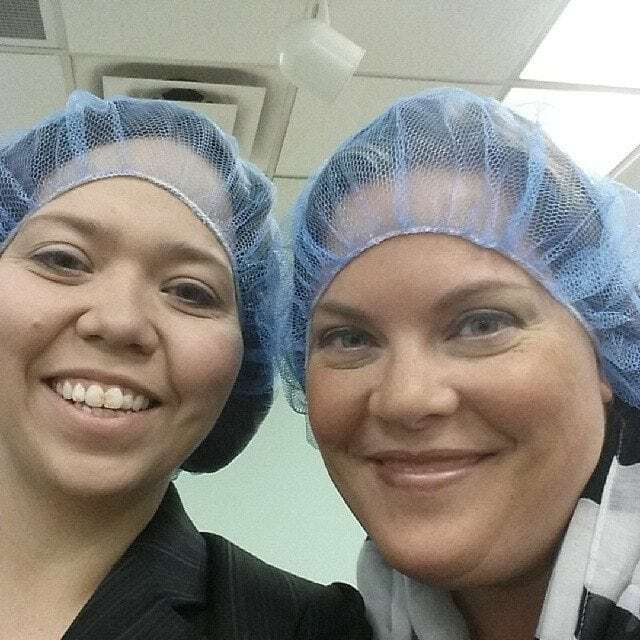 So long story short, I had a great time and even got to dress up hair nets and all with a good buddy of mine. 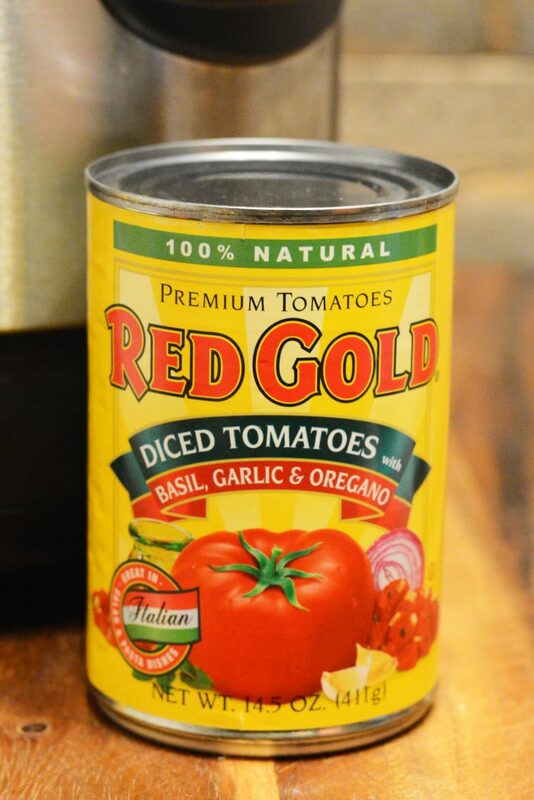 While at Red Gold, they showed us that by making your own sauce with their Holy-Cow-Awesomely-Good Basil, Garlic and Oregano Diced Tomatoes. You can add enough liquid to the dish to make it so you can use regular lasagna noodles but you don’t have to boil them first! My cRockin’ brain got to thinking that I was totally going to try it in my slow cooker. So I took home another one of their Lasagna Kits and gave it a try. 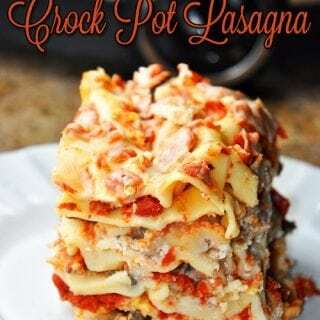 I made 3 different versions of their Lasagna (the other two recipes will be on GOODEness Gracious soon) and out of all of them, THIS Easy Crock Pot Lasagna was hands down my favorite. Note: We LOVE this non-stick slow cooker with this recipe! It makes clean up so nice! 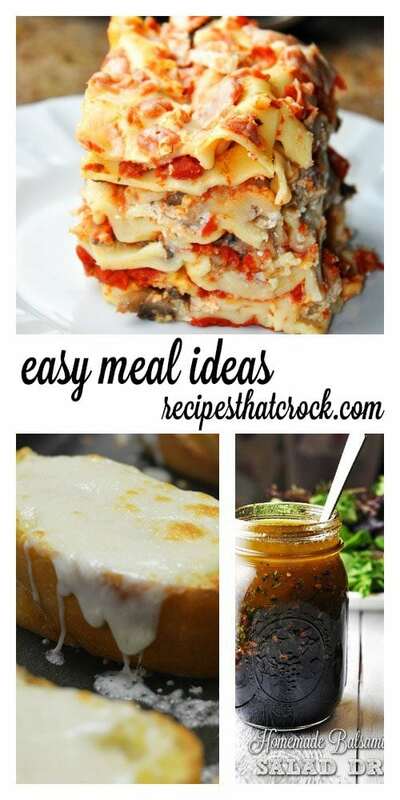 Fantastic Easy Crock Pot Lasagna Recipe adapted from Red Gold. Mix together tomatoes, water and seasonings. 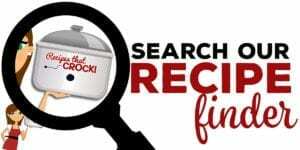 Place 1 cup of sauce in the bottom of your slow cooker. Place first layer of noodles and top with 1/3 of ricotta cheese, 1 cup of sauce, 1/3 of sausage, 1/3 of mushrooms and 1/4 of mozzarella. Repeat layers until out of ricotta, sausage and mushrooms. Top with noodles then pour all remaining sauce over top and cover with remaining mozzarella and Parmesan cheese. 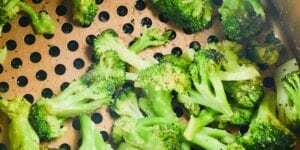 If time allows, for best flavor refrigerate overnight before slicing and reheating to serve. Keep the lid on it. It may look like a lot of of liquid at first , especially for a slow cooker. But those dry noodles will absorb all that liquid and they need all that steam and liquid to cook. So don’t “check on it” to death ;). When placing dry noodles start in the center and place longwise, slightly overlapping until you get to the sides. When you get to smaller side spots, break noodles to fit. Don’t worry if there are spaces without noodles. Just try your best to place noodles. It will all work out in the end. 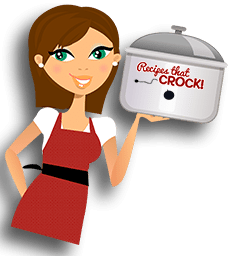 If one side of your slow cooker cooks hotter than another, rotate your crock throughout cooking to make it cook more evenly. 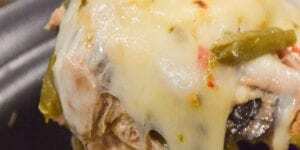 If time allows, crock your lasagna over night OR the day before and let it refrigerate before cutting and reheating. It sets up so nicely after some resting time in the fridge and the flavors just blend so much better by the next day. Mom’s Cheesy Garlic Bread and a simple salad with Homemade Balsamic Vinaigrette Salad Dressing would complement this Crock Pot Lasagna wonderfully! 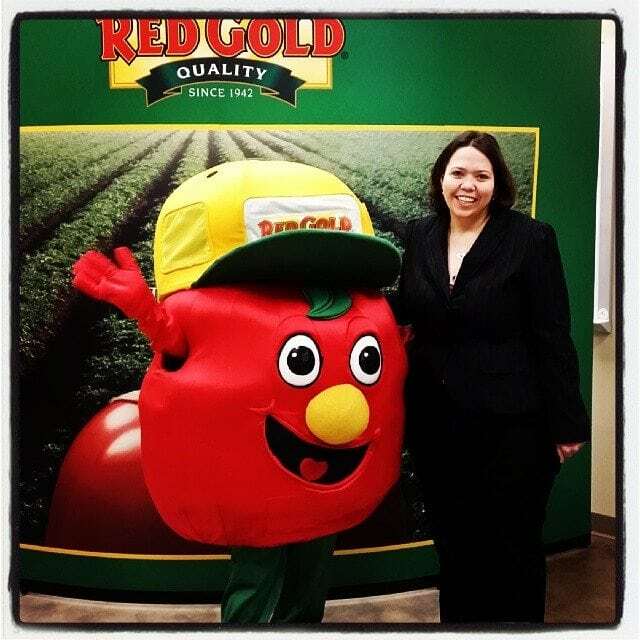 Disclosure: Red Gold provided me with Lasagna Kits and a wonderful day of fun at their offices, however, all opinions and my love of their product and Stewie (pictured above) are all my own. 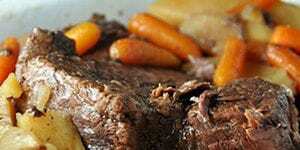 Have you tried this yet in a 9 x 13 crock pot….I was wondering how it would turn out.